Collects Spider-Woman #1-4, Marvel Spotlight (1971) #32. Jessica Drew has been an agent of both S.H.I.E.L.D. and S.W.O.R.D., an Avenger and more -- but nothing could prepare her for the multidimensional insanity of Spider-Verse! A war is brewing, and every spider-character in the multiverse is a target! But being a target is something Jessica Drew just won't abide. She's a woman with a mission. And with Silk -- the newest spider on the block -- at her side, she'll need to put all her training to the test if she wants to make it out of Spider-Verse alive! 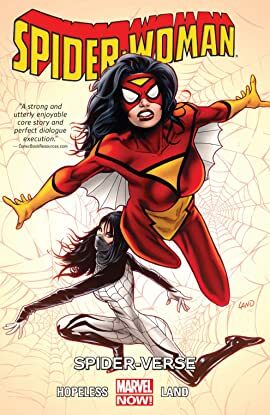 Now, undercover in the most dangerous place in the multiverse, Spider-Woman is in the tightest spot she's ever been in. What if even succeeding with her mission means her death? And can Silk handle a solo mission? 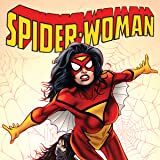 Plus: Spider-Woman's classic debut!